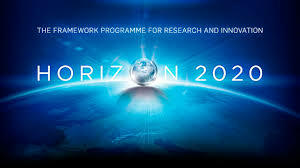 Mine Vaganti NGO recently presented a project proposal in the frame of the Horizon 2020 programme as the leading partner of a Consortium of 12 partner organizations, Universities, NGOs and corporations. “Youth Passport 2020″ (YP2020) was a proposal for a long term project with specific attention to European mobility (EM) effects. Despite looming large on the horizon in European policy discussions on education, training and youth, transnational mobility undertaken for learning purposes remains in many ways a curiously under-researched phenomenon, both from a pedagogical and a sociological perspective. What is the actual scope of the activities? 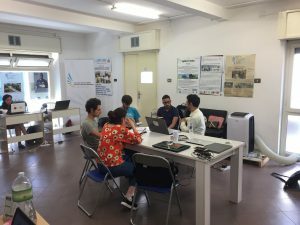 How many people in Europe (young and old) go abroad for a period of time to acquire new skills, competences and knowledge; in what contexts does this take place; and how is this financed (and by whom)? And what is the precise rationale for these activities, how are they organized and outcomes recognized, and what is the nature of the interplay between the various programmes, schemes and initiatives? These are the questions that this project proposal sought to answer. The proposal focused on learning mobility in mobility schemes outside the European action programmes merged in Erasmus+, and it complements a similar study on mobility in higher education. 1. Establish a multi-directional channel to achieve actual interaction among all the policy-making and public decision-making stakeholders (EACEA, National Agencies, businesses, universities, NGOs, young activists associations, etc.) in order to foster collaborative decision making. 2. Offer a comprehensive set of civic engagement services that, unlike conventional approaches, are specifically adapted to young people needs, habits and interests. 3. Define and develop a full set of methodologies that rule the application workflow to ensure that the proposed solution is able to meet the requirements from both ends (i.e. youngsters and policy makers). 4. Define end-to-end methods to follow-up on young people issued reports, from their creation until their processing by public authority representatives. 5. Implement a statistical analysis mechanism.